Still looking for a befitting fondue pot for your fondue party? 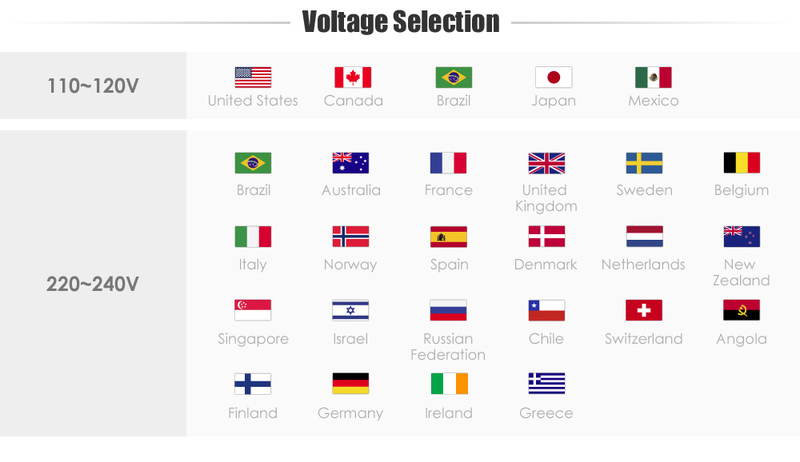 Still bothered about how to host a great fondue party? 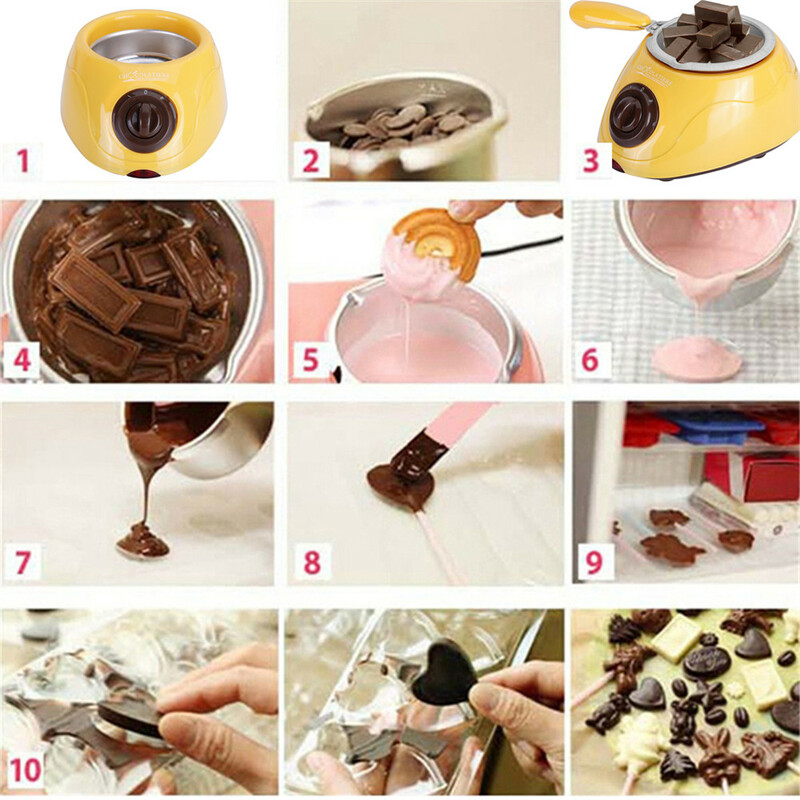 There you go, here comes our Multifunctional Chocolate Melting Pot, which is literally designed to tackle your problem and provide you with 12 practical recipes to make delicious fondue. 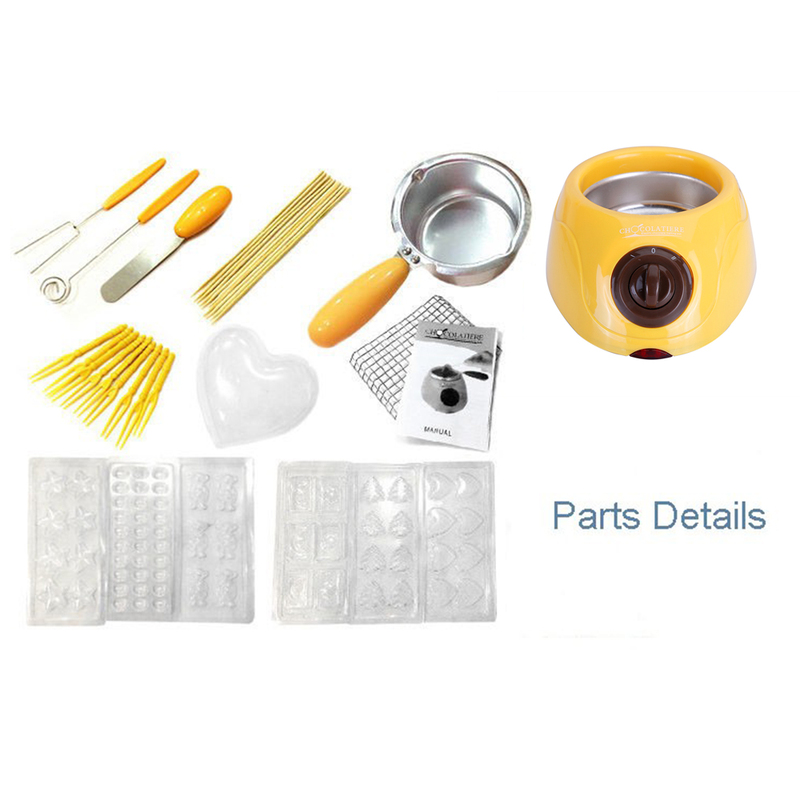 With powerful melting design, it quickly melts chocolate without water. 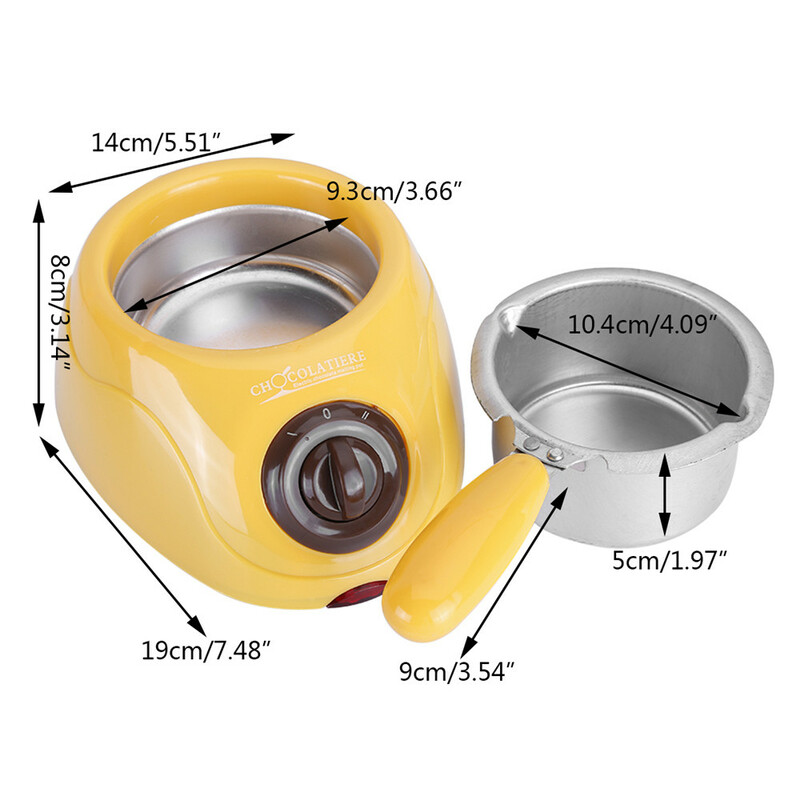 Easy operation of one button rotating to three positions featured to switch off, keep warm, and melt, you can have chocolates melted in your desired condition. 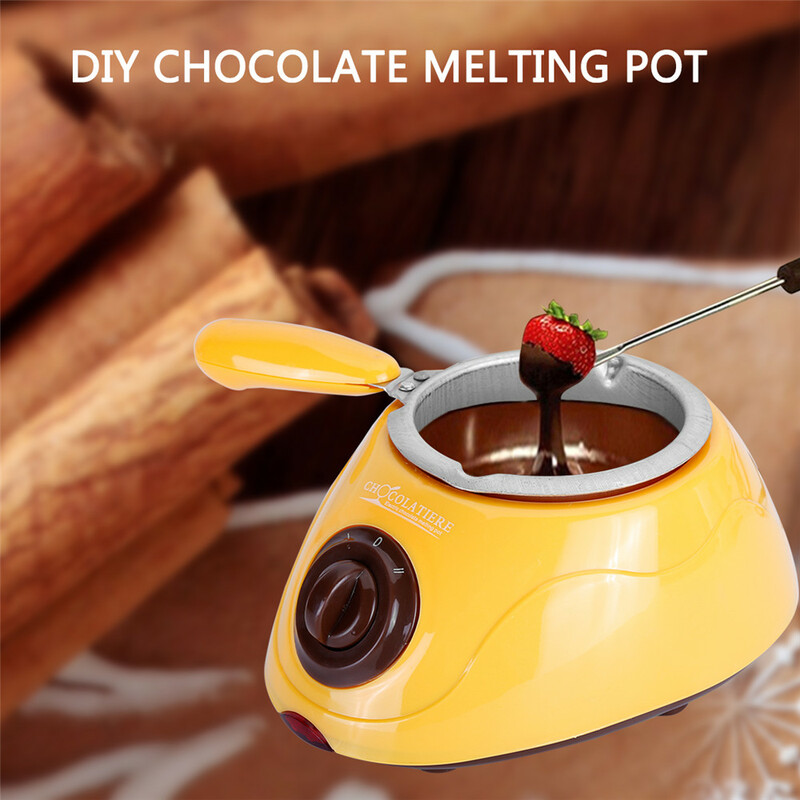 No doubt that get-together with friends is a perfect party held over a fondue pot, so come and get this pot for enjoying the luscious melted chocolate with your friends.